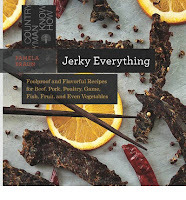 This new book lists the 100 most popular Beef Jerky Recipes according to chef's recommendations and traditional recipes. What is Jerky? Jerky is lean meat that has been trimmed of fat, cut into strips, and then dried to prevent spoilage. Normally, this drying includes the addition of salt, to prevent bacteria from developing on the meat before sufficient moisture has been removed. The word "jerky" derived from the Quechua word ch'arki which means "dried, salted meat." All that is needed to produce basic "jerky" is a low-temperature drying method, and salt to inhibit bacterial growth. 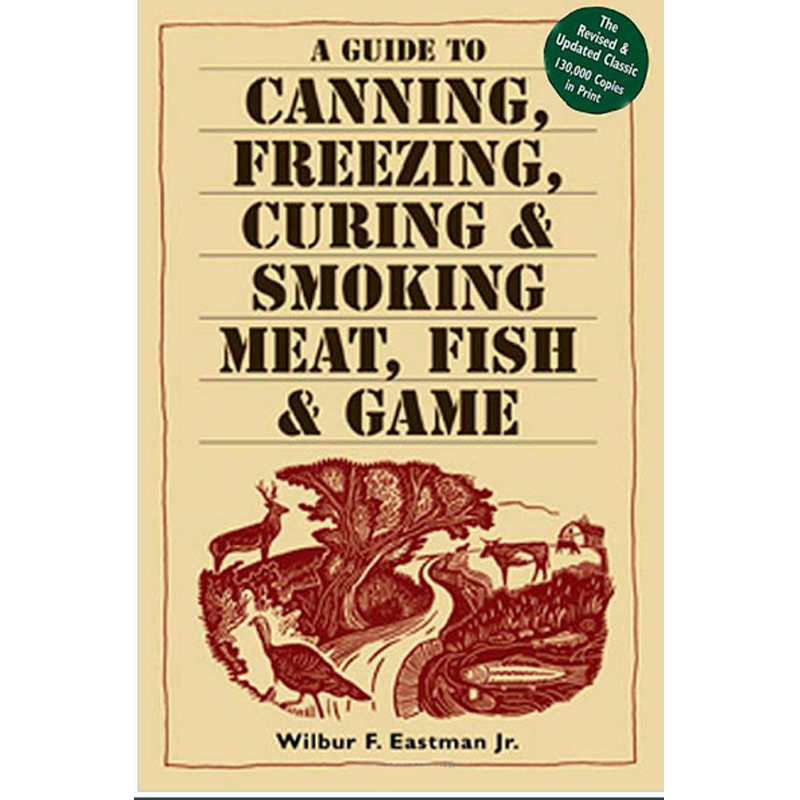 This no-nonsense guide to canning, freezing, smoking and curing meat, fish and game is written in down-to-earth, informative, everyday language. The third edition of this perennial bestseller is completely revised and updated to comply with the latest health and safety guidelines. 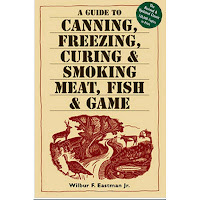 Includes dozens of delicious recipes for homemade Beef Jerky, Pemmican, Venison Mincemeat, Corned Beef, Gepockelete (German-style cured pork), Bacon, Canadian Bacon, Smoked Sausage, Liverwurst, Bologna, Pepperoni, Fish Chowder, Cured Turkey and a variety of hams. Learn tasty pickling methods for tripe, fish, beef, pork and oysters. 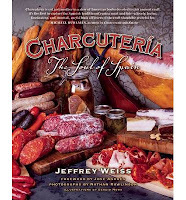 2015 James Beard Award nominee 2015 Gourmand World Cookbook Award nominee Charcuteria: The Soul of Spain is the first book to introduce authentic Spanish butchering and meat-curing techniques to America. Included are more than 100 traditional Spanish recipes, straightforward illustrations providing easy-to-follow steps for amateur and professional butchers, and gorgeous full-colour photography of savoury dishes, Iberian countrysides, and centuries-old Spanish cityscapes. Jeffrey Weiss has written an entertaining, extravagantly detailed guide on Spanish charcuterie, which is deservedly becoming more celebrated on the global stage. While Spain stands cheek-to-jowl with other great cured-meat-producing nations like Italy and France, the unique charcuterie traditions of Spain are perhaps the least understood of this trifecta. Americans have most likely never tasted the sheer eye-rolling deliciousness that is cured Spanish meats: chorizo, the garlic-and-pimenton-spiked ambassador of Spanish cuisine; morcilla, the family of blood sausages flavouring regional cuisine from Barcelona to Badajoz; and jamon, the acorn-scented, modern-day crown jewel of Spain's charcuteria legacy. Charcuteria is a collection of delicious recipes, uproarious anecdotes, and time-honoured Spanish cuisine and culinary traditions. The author has amassed years of experience working with the cured meat traditions of Spain, and this book will surely become a standard guide for both professional and home cooks. 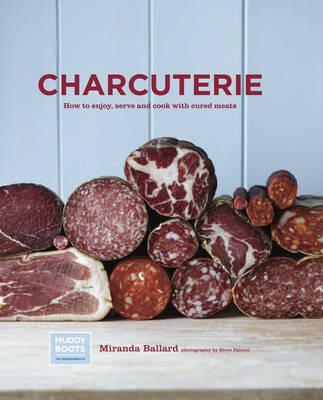 Learn more about the history and types of charcuterie and salumi available to buy in The Charcuterie Board. The Small Bites chapter will provide you with a host of recipes to serve with drinks, such as grilled chorizo and scallops on sticks, scotch eggs and 'Sushi style' gorgonzola with prosciutto and rocket. You'll also find recipes to make a perfect light lunch or starter, as well as Main Courses such as paella with chorizo and omelette with ham, gruyere cheese and patatas bravas. The section on home curing will provide you with recipes to cure your own pork belly or duck breast, while the range of Accompaniments from pickles to toasts will give you all you need to complete your perfect charcuterie board. For lovers of all things dry cured, award-winning chef, owner of Charlito s Cocina, and creator of charcuterie Charles Wekselbaum has written an unconventional entry-level guide to the process. Drawing on his Cuban-Jewish background and inspired by flavours from Asia to Italy, Charlito includes recipes for pork and beef salami, dry-cured whole muscles like prosciutto and bresaola, and more unusual seafood and vegan options made from salmon, tuna, figs, cucumbers, and more. 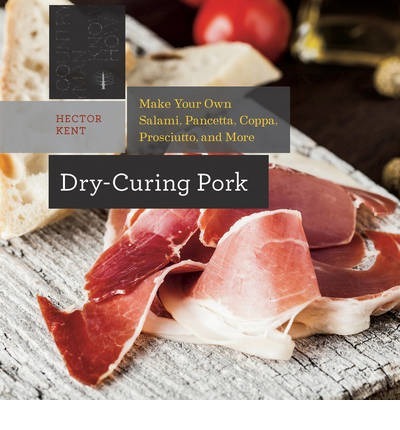 He provides instructions for easily constructing your drying and fermentation chamber, putting together the perfect charcuterie board, pairing wines and beers with the finished product, and recipes to implement your favourite dry-cured ingredients. With information on everything from sourcing your materials through plating your dish, home chefs of all levels can enjoy their own dry-cured delicacies without being intimidated. Originally, curing was a necessity -the only way food could be preserved before the advent of refrigeration. Now, it is a luxurious way to enjoy unique, intense flavours in foods ranging from meat and fish to fruit and vegetables. Seven sections -each dedicated to a different method of curing- de-mystify this ancient technique and show how every cook can create delicious cured cuisine in their own kitchen. 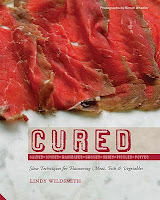 Cured offers a truly global compendium of deliciously preserved dishes, with recipes ranging from New York Deli pastrami and Native American venison jerky to the Japanese pickled and marinated fish, Sashimi and Shimi Saba. From Europe come smoked salmon and salt beef, German Liverwurst Sausage, salt cod dishes of both the Mediterranean and Scandinavia, and Italian classic antipasti in the form of Venetian Carpaccio and ruby red Carne Salada . Lindy Wildsmith covers cooking from cultures all around the world, looking at both contemporary and historical culinary practices originating from Japan, ancient Rome and Greece, contemporary Europe and various Native American techniques, Nurturing flavour over days, weeks or even months is a unique way to prepare food, producing mouth-watering results every time. Home-cured delicacies taste even better for having been patiently prepared and eagerly anticipated. The widespread revival of the 'Slow Food' movement is testament to the intense flavours yielded by salting, marinating, spicing, drying and smoking. Cured is the ultimate guide to this exciting culinary sub-culture. 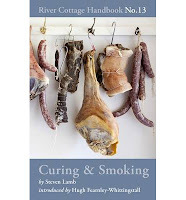 Curing and smoking your own food is a bit of a lost art in Britain these days. While our European neighbours have continued to use these methods on their meat, fish and cheese for centuries, we seem to have lost the habit. But with the right guidance, anyone can preserve fresh produce, whether living on a country farm or in an urban flat - it doesn't have to take up a huge amount of space. The River Cottage ethos is all about knowing the whole story behind what you put on the table; and as Steven Lamb explains in this thorough, accessible guide, it's easy to take good-quality ingredients and turn them into something sensational. Curing & Smoking begins with a detailed breakdown of any kit you might need (from sharp knives to sausage stuffers, for the gadget-loving cook) and an explanation of the preservation process - this includes a section showing which products and cuts are most suitable for different methods of curing and smoking. The second part of the book is organised by preservation method, with an introduction to each one, and comprehensive guidance on how to do it. And for each method, there are, of course, many delicious recipes! These include chorizo Scotch eggs, salt beef, hot smoked mackerel, home-made gravlax ...and your own dry-cured streaky bacon sizzling in the breakfast frying-pan. With an introduction by Hugh Fearnley-Whittingstall and full-colour photographs as well as illustrations, this book is the go-to guide for anyone who wants to smoke, brine or air-dry their way to a happier kitchen. 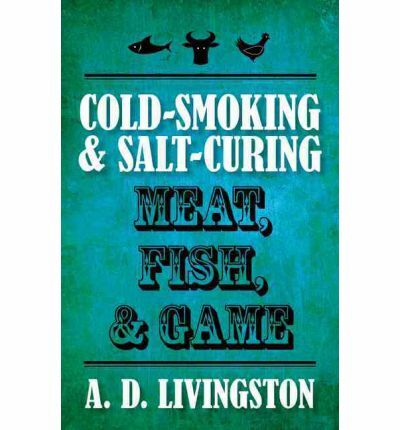 Curing and smoking meat using natural and synthetic casings Selecting and storing meat and choosing other ingredients Fresh Italian Sausage, Dried Beef, Andouille Sausage, Kippered Salmon "Great Sausage Recipes and Meat Curing" is the most comprehensive book available on sausage making and meat curing and has sold more than 500,000 copies worldwide. It is easily understood, contains a wide variety of recipes, and is very effective in helping solve common problems. 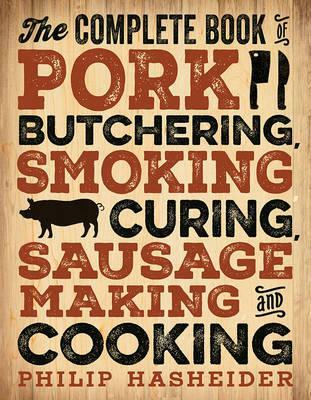 It is written by a man who learned the art of sausage making and meat curing at a very young age and who made a living smoking and curing meats. 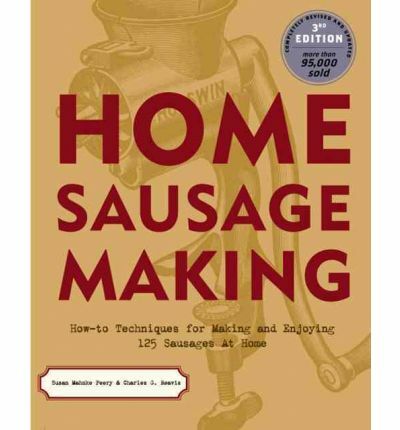 HOME SAUSAGE MAKING with over 95,000 copies in print is the classic in the field. 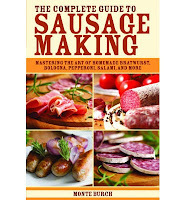 Now repackaged in a smaller, friendlier size for a new generation of sausage lovers, and completely revised and updated to comply with current safety standards, this new edition features 150 recipes. 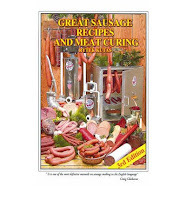 Included in the line-up are 100 recipes for sausages (cased and uncased) and 50 recipes for cooking with sausage, all written for contemporary tastes and cooking styles. 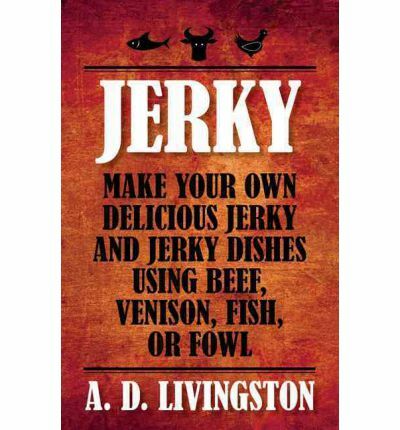 Jerky has been a vital source of sustenance for centuries. But what started out as an important food for travellers and a way to safely preserve meat in the days before refrigeration has become the health nut's favourite snack, the hiker and sportsman's manna, the dieter's delight and a boon for gourmet food sellers. But why stop at beef, or even meat? Jerky Everything encompasses not only a variety of dried meat snacks but also veggie and fruit jerkies. Forget the ho-hum beef sticks of the past, Jerky Everything offers tasty dried treats for every palate, with flavours that range from orange beef to cheddar bacon to pina colada. Yes, you heard it here first-you can make yummy pineapple jerky at home! Recipes for meat jerkies make low-calorie, high-protein treats that curb hunger pangs. Recipes for fruit and veggie jerkies make wholesome treats that will help pick you up when your energy is waning. Homemade jerky is a thing apart from its shop-bought equivalents; most of these recipes are even compatible with paleo, Atkins and low-fat eating regimens. There is a trend towards artisanal food preparation at home and preserving your own meat in the kitchen is increasingly popular. 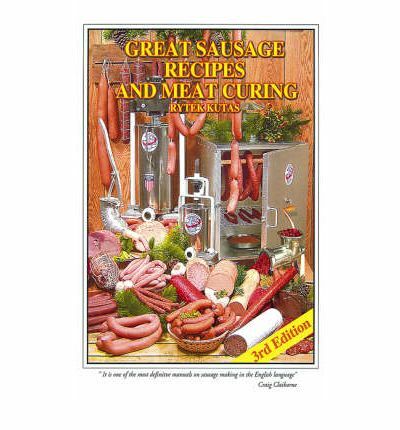 This book is based on traditional recipes and is a practical guide to curing all sorts of meat, from the ever-popular sausage and bacon through to making your own salamis, pates and galantines. The ancient art of preserving meat developed pre-refrigeration and is particularly relevant today to people interested in sourcing their own meat and knowing its provenance and those keen to have in their pantry products with the textures and flavours of the pre-factory-processing era. 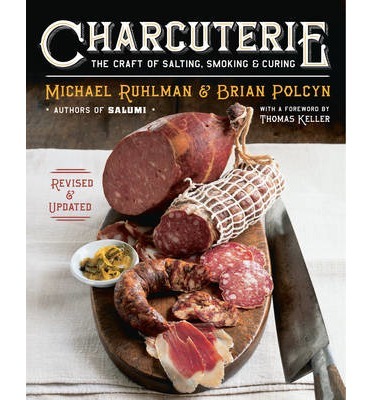 Michael Ruhlman and Brian Polcyn inspired a revival of artisanal sausage making and bacon curing with their surprise hit, Charcuterie. 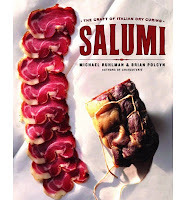 Now they delve deep into the Italian side of the craft with Salumi, a book that explores and simplifies the recipes and techniques of dry curing meats. As the sources and methods of making our food have become a national discussion, an increasing number of cooks and professional chefs long to learn fundamental methods of preparing meats in the traditional way. 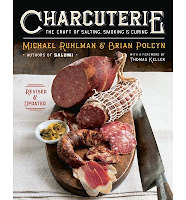 Ruhlman and Polcyn give recipes for the eight basic products in Italy's pork salumi repertoire: guanciale, coppa, spalla, lardo, lonza, pancetta, prosciutto, and salami, and they even show us how to butcher a hog in the Italian and American ways. This book provides a thorough understanding of salumi, with 100 recipes and illustrations of the art of ancient methods made modern and new. 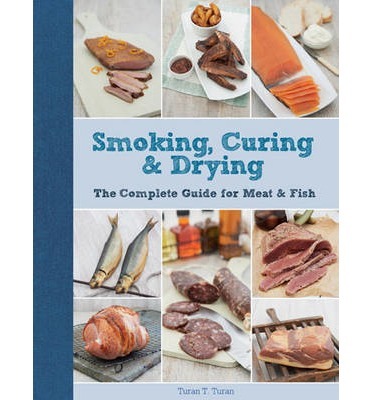 The ultimate step-by-step guide to smoking, curing, and drying meat and fish at home: from delicious salmon gravlax to mouth-watering hot-smoked chicken wings and home cured bacon. Turan's expert hands-on approach will show you all the essential techniques plus more complex curing processes, encouraging you to develop your own style. No expensive equipment is required to get started: all you need is an oven or a barbecue! Includes full instructions for indoor hot and cold smoking methods, plus a guide to building your own outdoor smoker - from an easy-to-make cardboard box cold smoker to barbecue-friendly designs. Step-by-step photographs and instructions for over 50 different techniques: Smoked salmon, Beef jerky, Ribs, Gammon, Kippers, Smoked venison, Biltong, Smoked bacon, Chorizo, Bresaola, Parma ham, Salt cod, Ham, Smoked goose, Pancetta, Salami, Coppa, Gravlax, Chicken, Smoked mackerel, Pastrami, Dried lamb, Duck jerky, Salt beef and much more! 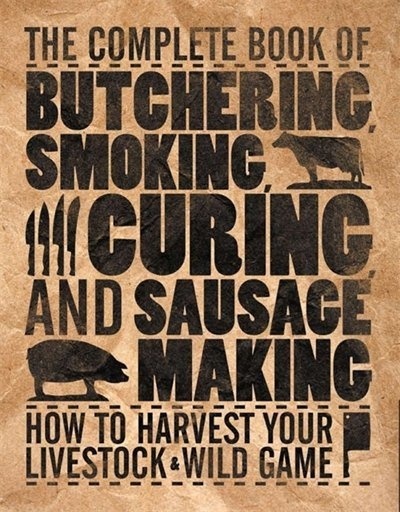 A comprehensive, professional-level guide to the making of sausages and cured meats. The art of charcuterie has been practiced since the fifteenth century, but in recent years interest has escalated in this artisanal specialty. Pates, cured meats, terrines, and gourmet sausages are staples at upscale restaurants as well as cocktail and dinner parties. 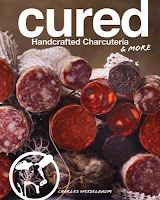 Modern charcutiers have introduced new and exciting techniques and flavours for delicious (and even healthy) charcuterie. 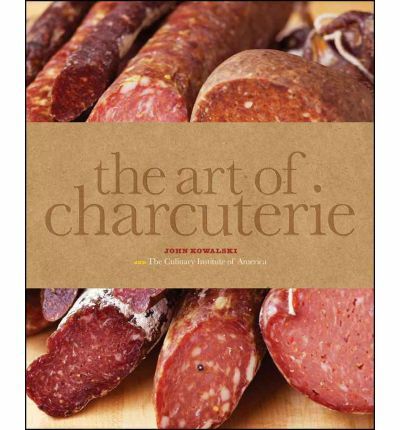 Written by John Kowalski and the experts at the CIA, The Art of Charcuterie covers every aspect of this rediscovered culinary art: curing and brining, smoking, terrines, pates, sausages, herbs and seasonings, sauces and relishes, and kitchen sanitation. 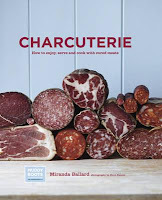 * Features thorough explanations of tools of the trade, kitchen equipment, and ingredients * Includes technical and nutritional explanations of all the meats used in the charcuterie kitchen and how to best prepare them * Heavily illustrated with 200 full-colour photographs, including techniques and finished items The Art of Charcuterie is the ultimate companion for professionals and dedicated home cooks who want to master both traditional and contemporary techniques. 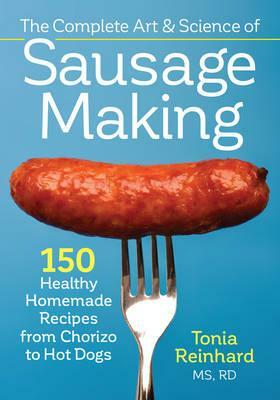 There are techniques and secrets to learning how to make sausages in the home kitchen. Making sausages is an ancient art that has made a remarkable comeback in recent years. Tania Reinhard explains the science to making sausages, taking all the guesswork out of it, making it a fun, safe and exciting project for any aspiring sausage maker. Starting with the right tools and equipment there are step-by-step instructions that explain just how healthy sausages can be made simply by using the right ingredients and seasonings. 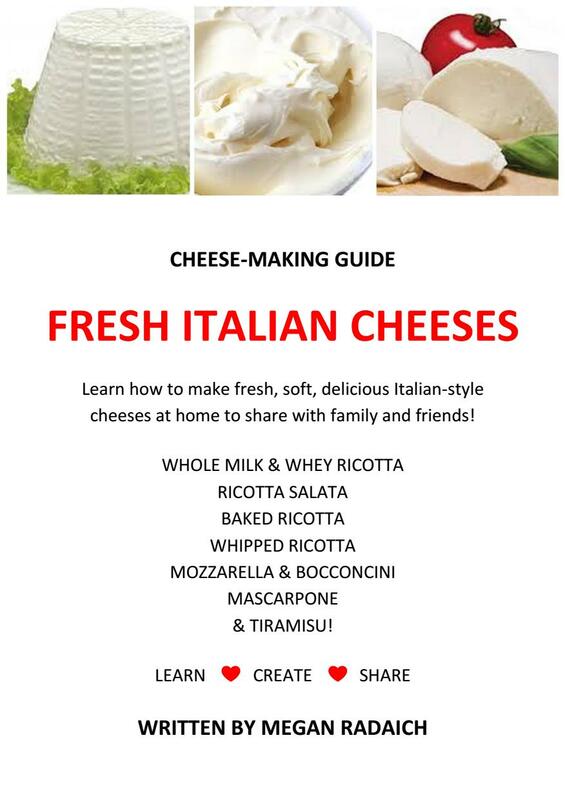 The book has an extraordinary variety of recipes with the best techniques from all over the world. Ingredients range from the classic pork, beef, lamb, chicken and turkey, to wild game, fish and even vegetarian and vegan sausages. Here are some of these tantalizing recipes: * Classics like Chorizo, Frankfurters, Salami, Keilbasa, Liverwurst, and Breakfast Sausage; * Pork recipes include Sicilian Sausage, Sage Potato Sausage, American Brat, Pesto Pork Sausage and Jamaican Jerk Sausage; * There is also a huge variety of chicken and turkey recipes like Chicken Parmesan Sausage, Persian Chicken, Turkey de Provence, Christmas Turkey and Athenian Chicken; * The vegetarian and vegan recipes include Malaysian Satay, Sausage De Bologna, Greek Sausage, The Nutty Vegan and Lebanese Majadra. Meal planning is easy with complete menus and the perfect pairings for a sausage. The expert instructions, techniques and tips are crucial for any home sausage maker. Sink your teeth into the ultimate homemade treat! High in protein, low in fat, and tasty--it's no surprise that jerky has been a popular snack for decades. While commercially made jerky is easy to find in stores, it has a few downsides: it's expensive, often high in sodium, and the flavours are limited. When you make your own jerky, hunters can make use of their own game, fishers can use their fresh catch, and conscious consumers can use locally sourced meat. Of course, the flavour options go far beyond cracked black pepper as well! From classics such as smoked salmon and teriyaki beef to more creative options such as spicy turkey, savoury tofu, and soy and brown sugar venison, the choice is yours! 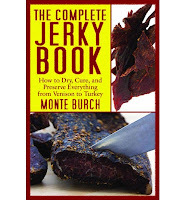 Author Philip Hasheider, a butchery expert, will walk you through basic butchery for larger cuts of meat, how different muscles (and fish) translate into jerky, and a variety of ways to prepare jerky using a food dehydrator or a smoker. Marinated, flavoured, or plain and simple, learn how to make the jerky you crave! From nose to tail, there's a right and a wrong way to dress and cook a pig. Learn the right way. Pork is the most consumed meat in the world. It's inexpensive and versatile, yet relatively few home cooks feel comfortable moving beyond pork chops. And the vast majority never "dream" of making chorizo or curing their own hams or bacon. 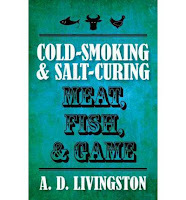 "The Complete Book of Pork Butchering, Smoking, Curing, Sausage Making, and Cooking" changes all that. 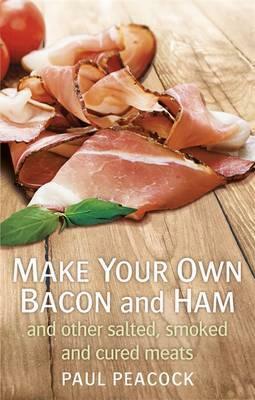 For the home cook who wants to step up to the butcher block, this book is the perfect guide. 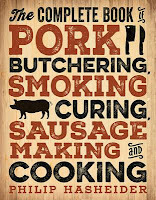 Equal parts butchering handbook, cookbook, and food history book, "The Complete Book of Pork Butchering, Smoking, Curing, Sausage Making, and Cooking" allows food lovers to take on culinary challenges, such as making their own sausage varieties or breaking down an entire pig, start to finish. Knowing that a single, butchered market hog can produce 371 servings of pork, there's a lot of opportunity for anyone lucky enough to get their hands on a whole hog. Even the folks who buy their meat in more manageable quantities can tackle new recipes and techniques in this book. The book offers recipes, photographs, and illustrations to turn average cooks into nose-to-tail butchering enthusiasts. It also includes information about the history of pigs, meat storage and preservation techniques, and advice on how to best use every part of the pig to its most flavourful effect. There's only one way to enjoy this book: Pig out! 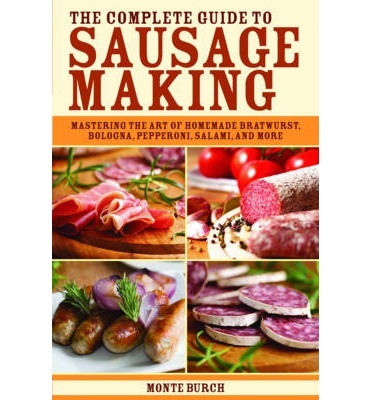 Now, with "The Complete Guide to Making Sausages," you can impress your family and friends by making all types of sausages in the comfort of your own kitchen. 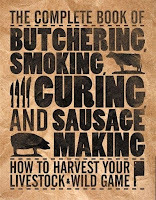 In an easy to follow manner, writer-outdoorsman Monte Burch explains how to make sausages using wild game and store-bought meats like pork, chicken, and beef. Learn to make all sorts of delicious variations, including bratwurst, bologna, pepperoni, salami, liver, and smoked sausages. With his advice, you can perfect and master the art of making sausage at home and be the envy of the neighbourhood. 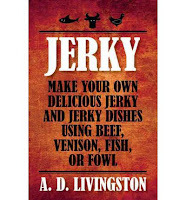 As more and more self-sufficiency methods rise out of today s waning economy and growing green movement, so does jerky. Jerky is one of the oldest forms of food preservation, and yet these days, a very popular hobby for the hunting enthusiast and a great way of using game meats. Award-winning outdoor writer and photographer Monte Burch brings readers this pocket-sized guide to making one of the most popular, convenient, and protein- enriched foods. 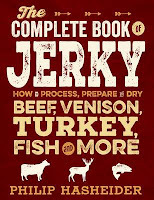 "The Complete Jerky Book" includes everything from how the Native Americans preserved their meat to the foolproof, easy-does-it purchased jerky seasoning mixes and new products of today. Delicious recipes for a wide variety of meats, including venison, turkey, goose, beef, and even fish, are included. This book includes complete instructions on how to prepare jerky the good old-fashioned way as well as how to make it using the latest equipment. 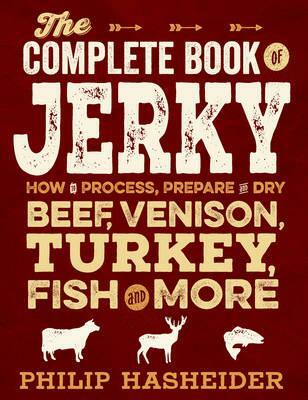 Using this simple book, you will be ready to start making your own jerky quickly and easily. 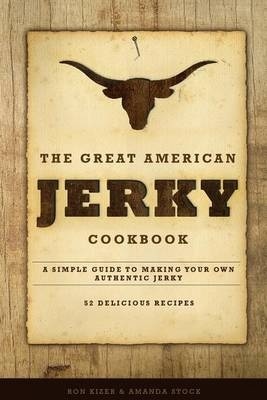 The Great American Jerky Cookbook contains 52 recipes for delicious jerky marinades and simple, easy to follow instructions for making your own jerky at home. This guide covers equipment you may need, including how to use your home oven for jerky makin'. It also covers the best types of meats to use and which to avoid. You will learn how to prepare and cut the meat for the tenderest jerky, how to use marinades, how to dry the meat, how to test jerky to make sure it is done, and how to store it. The marinade recipes include: Good Ol' Fashion Jerky Teriyaki Jerky Pepper Hot Jerky Cowboy Jerky Barbecue Jerky Sweet and Sour Jerky Hawaiian Jerky Alabama Honey Jerky and many more. There is nothing like savoury, chewy jerky to satisfy a hunger craving. This delicious treat has seen resurgence as more and more people have been returning to the basics and adopting a self-sufficient lifestyle. Not only is homemade jerky much less expensive than the packaged kind, but it's also surprisingly simple to make, and it's much more flavourful. This incredibly hardy food has stood the test of time, and it's not hard to see why--it lasts long, tastes great, and travels well. 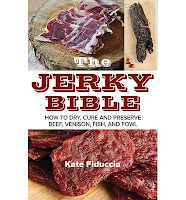 In The Jerky Bible, Kate Fiduccia shows you how to create delicious jerky with instructive step-by-step photos that take you through the process. Inside, you'll learn how to utilize more than forty flavourful marinades to create a wide range of flavours including Caribbean marinade, sweet beer marinade, and Apple Valley marinade. In addition, readers will learn how to identify the best cuts for jerky, the process behind preparing it, the different types of equipment available for drying jerky, and how the process has changed over the years. 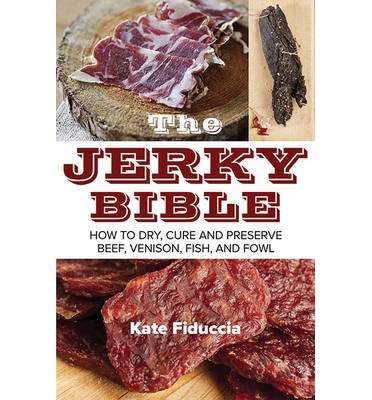 Fiduccia offers a wide range of jerky recipes covering beef, pork, chicken, venison, turkey, game birds, and fish. Enjoy more than fifty recipes, such as: * Aloha jerky * Fast and easy teriyaki jerky * Honey Lola sweet venison jerky * Brian's hot-to-trot venison jerky * On the range jerky Skip the junk food and start enjoying this delicious snack today! Skyhorse Publishing, along with our Good Books and Arcade imprints, is proud to publish a broad range of cookbooks, including books on juicing, grilling, baking, frying, home brewing and winemaking, slow cookers, and cast iron cooking. 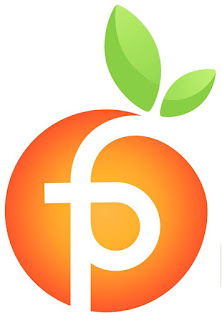 We've been successful with books on gluten-free cooking, vegetarian and vegan cooking, paleo, raw foods, and more. Our list includes French cooking, Swedish cooking, Austrian and German cooking, Cajun cooking, as well as books on jerky, canning and preserving, peanut butter, meatballs, oil and vinegar, bone broth, and more. While not every title we publish becomes a New York Times bestseller or a national bestseller, we are committed to books on subjects that are sometimes overlooked and to authors whose work might not otherwise find a home. 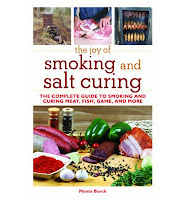 Here is the next title in the popular The Joy of series an easy-to-understand, beautifully illustrated guide to smoking and salt curing. 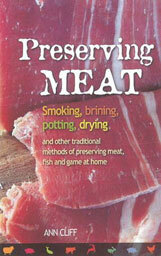 Learn how to preserve meat, fish, and game and create delicious smoked and cured foods. 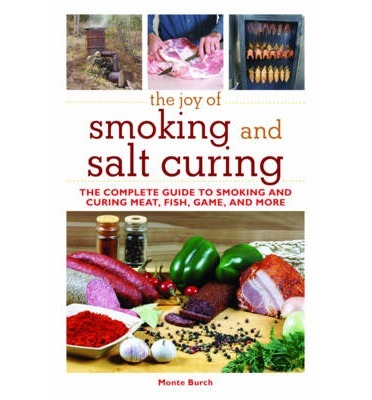 Whether you are a serious hunter or angler seeking to cure and smoke your harvest or a consumer simply looking to save money while creating delicious treats at home, "The Joy of Smoking and Salt Curing" can help you!